Massacre in Margao: A Graphic History of the Revolt of 21 September 1890, ISBN: 9789381542828. The book, developed in the graphic format depicts the sequence of events leading to the rigging of the elections and the consequent firing on the protestors. The book can be purchased by clicking here. 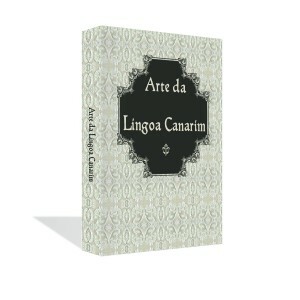 Arte da Lingoa Canarim, ISBN: 9789381542408. A facsimile copy of 1640 edition of the same book by Thomas Stephens and others. It is claimed that this is the first published grammar of any Indian language. The book has a comprehensive introduction by Fr. Ivo Coelho. Read more about this book here and follow this link to purchase the book. Legal System in Goa, Vol I (ISBN: 9789381542576) and Vol II (ISBN: 9789381542583) by Dr. Carmo D’Souza. These books are an excellent source of information for those who wish to study the legal evolution of a colony whose laws were deemed quite progressive for the times. You can buy Vol I here and Vol II here. Images of Goa, ISBN: 9789380151953. The book is nostalgic reminder of the serene environs of Goa, the Goa that inspired poet and lyricist alike. The book can be purchased here. Xirap ani her nnov kotha/A Madhouse in Goa and nine other stories, ISBN: 9789381542644. This book is a bi-lingual book with stories both in the author, Ben Antao’s native Konkani and in English. Read more about this book here and buy it here. Jose’s Dreams, ISBN: 9789381542606, a novel “that cries out to remake this world not on the dreams of imperialistic greed, but on Peace and Love – the heritage of the human spirit”. Buy the epub version by clicking here.